This Christmas, consider buying an ethical Christmas gift, to help shape and better the world we live in. If just one in four Australians made one ethical Christmas purchase, we’d raise more than $2.2 billion for people living in poverty. That’s enough to provide clean water for every family in Zambia. Incredible huh? With the babies due to arrive around Christmas Day, we thought we would get in early and celebrate Christmas. 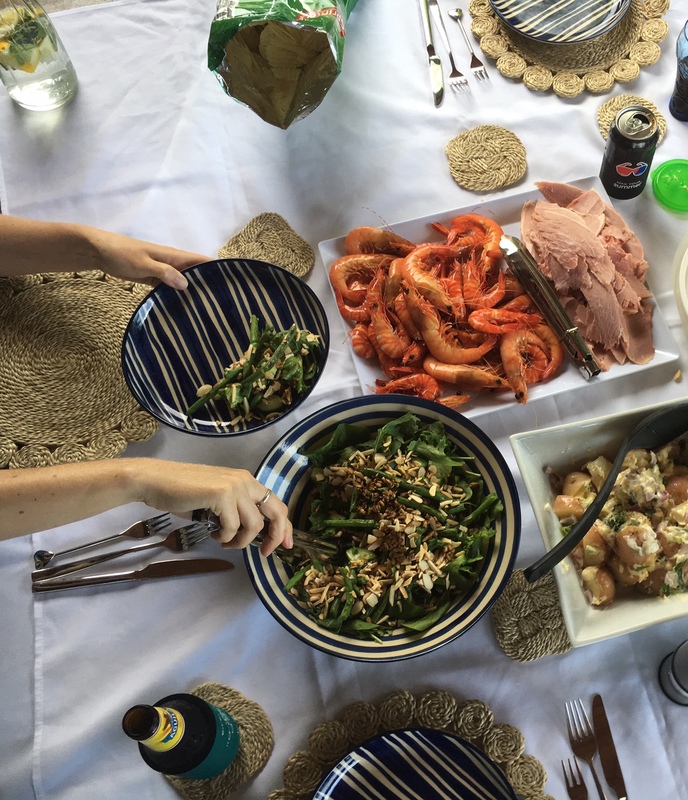 On Sunday, we had a casual lunch on the deck at our home. 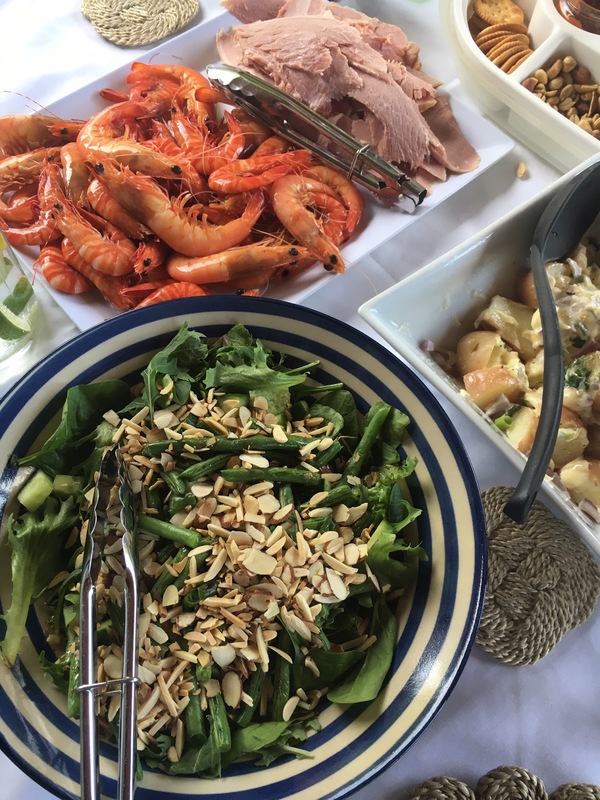 We kept it very low key, with a few salads, prawns and ham. I made a chocolate tart with a berry coulis for dessert and we then retired to the pool to cool off. So you are probably wondering how it was an ethical Christmas then? By shopping! Yes, you read that right! Shopping at an ethical store. The beautiful heart shaped dessert forks, jute placemats, jute coasters, plates and salad bowl that we lunched with were all from Oxfam. Each dollar spent on beautiful gifts at the Oxfam Store, changes the lives of those who work to create, make and grow the products. Making the world we live in a better place and you as the consumer are literally changing someones life for the better. Pretty powerful! I love that each piece from the Oxfam Store has a story. These indigo striped plates have been handmade by Jubok Pottery in Dhaka, Bangladesh. 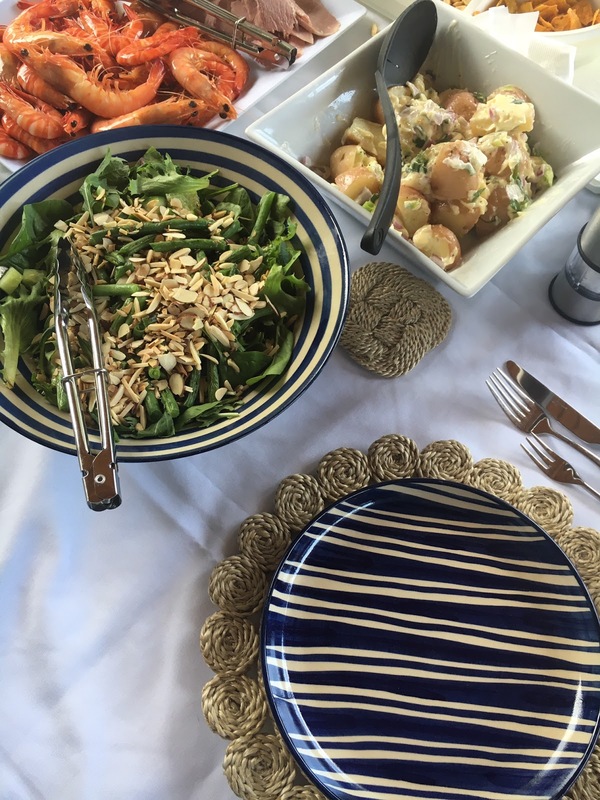 The brush stripes are hand painted, giving each piece a unique and distinctive look, evoking images of days at the beach, ocean breezes, marine blues, white clouds and sea scapes. Who can go past blue and white! I love the coastal feel they created with the Jute place mats and coasters. The flower design jute placemats are also made in Bangladesh, by an enterprise focused on providing platforms and services to the marginalised and poor. It is so touching, knowing that by shopping ethical, you are changing the lives of these people. You can see where each product is made and know the difference your purchase will make to these people. The sweet heart cake fork is my favourite. Perfect for a high tea, luncheon or 'just because'! 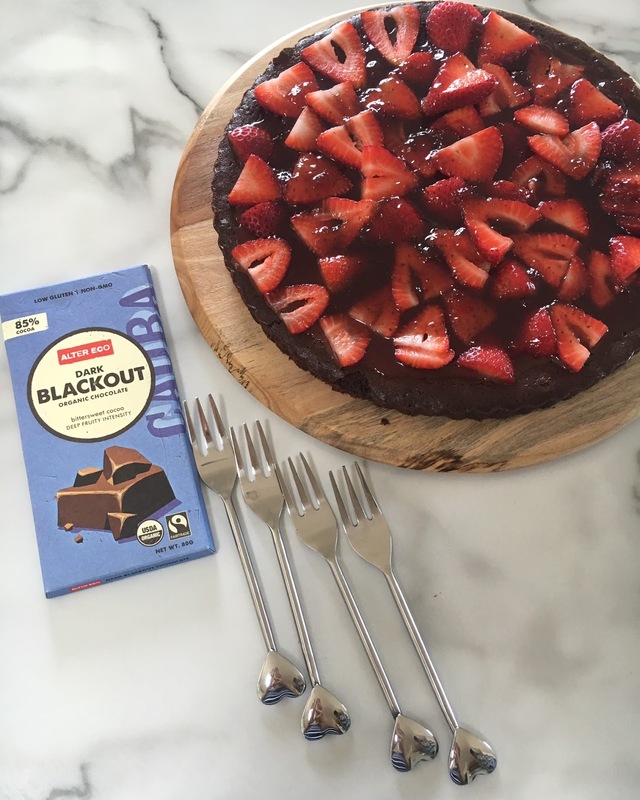 No Christmas is complete without dessert though and this Alter Ego Dark Chocolate was the perfect ingredient to make this rich smooth chocolate tart. The chocolate is organic and fair trade certified, you are supporting farmers and villages on the Peruvian Amazon and Ecuadorian Coast when indulging in it. Yum! Oxfam has your summer entertaining this festive period covered as well as gift ideas! 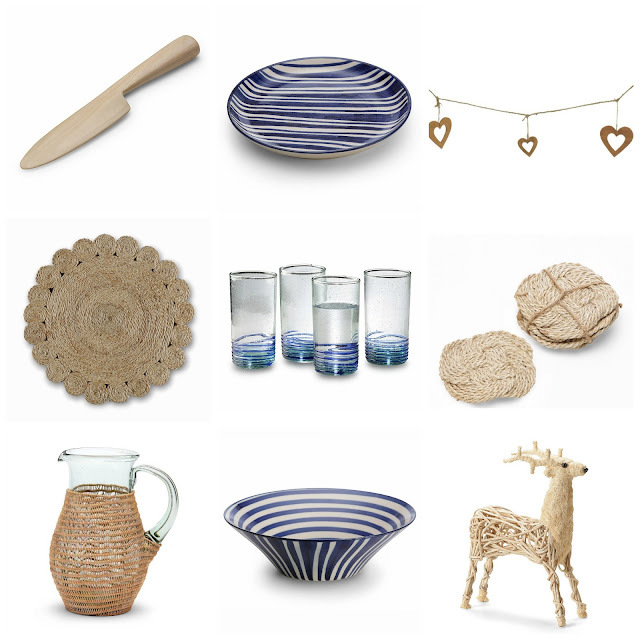 Here are my top shopping picks for a relaxed coastal Christmas table setting, whilst helping create a more ethical world this Christmas. DO YOU HAVE PLANS FOR CHRISTMAS DAY? Would you consider making it an ethical Christmas and gifting from the beautiful Oxfam store? I urge you to take a peek at the Oxfam Store, there are some beautiful homewares and gifts to fall in love with. Who says you can't spoil yourself this Christmas and gift to yourself? Go on! Linking up with the wonderful Aussie Bloggers at #IBOT - come and have a read at some fab Aussie Blogging talent! I love Oxfam - you never know what you will find there, and it's wonderful to be able to support businesses and craftspeople in developing countries. I didn't realised the bubs were coming on Christmas Day, that really is the best gift of all. It looks like you had a lovely lunch. I think that love heart fork has my name on it! The Christmas table setting looks amazing. I would never have thought of going to Oxfam for that. It's a really lovely idea. What an awesome idea. Oxfam. They have some great things in that store.